A teacher shared this book with me today. I wish I had known about it for earth day. 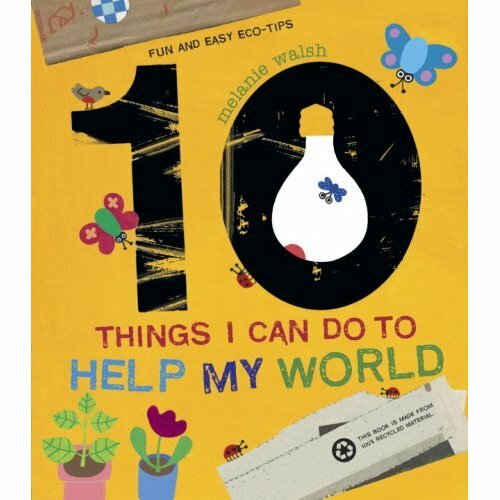 It is perfect for teaching young children how to take care of the earth and "go green." I recently found this idea on Pinterest, but had to modify it a bit to meet the needs of our standards. The original idea came from First Grade Wow. A group of teachers and I were brainstorming how to modify it this afternoon to meet our needs and this is what we came up with. I would not use this lesson as an introductory lesson to area. The play-doh lesson I shared in the making length comparisons post is better suited for introducing the concept. As with any lesson, I would do this first as a whole group model. In advance, draw lines on posterboard to create large squared graph paper. You will need 2 sheets of posterboard like this. On the first piece of posterboard, color in some of the squares to make an animal. Drawn and color in a different animal on the second piece of posterboard. Explain to students that they are going to draw animals and then compare them to find out whose animal has more area. Have students tell you what this means and how you will compare the two animals to find out which one has more area. Model for students how to do the activity below. Then have students work with a partner to complete it on their own. During your model make sure to review the definition of area, more space, less space, and the same space. You can print 1 inch sheets of graph paper here. Pair students up. Have each child draw an animal and color it in on their grid paper. Have students partner share what they need to do to compare their animals to see which one has more area. Call on students to share out their ideas with the class. Have one student cut up their animal into squares. Then have students work together to lay the cut up squares on top of the animal that was not cut up. Students can simply lay the squares down or glue them down so they will stay. Guide students through filling out the recording sheet. Have them share their animals with the group and explain which animal has more area, which has less area, or which has the same area. Then have them explain how they know. You can download the recording sheet here. Debbie Clement from Rainbows Within Reach recently asked me to do a guest post on another blog she contributes to PreK + K Sharing. In trying to stay in line with the other posts on the blog, I decided to write about teaching young children to draw and why it is so important. To learn more about how I taught my students to draw and to find out how it connected over to their writing, check out my guest post Teaching Children to Draw. I found these fun caterpillars this week. Love them!! I am not exactly sure how these were created, but I can tell that paper squares were glued down to the egg carton and then painted over. They paper squares have a paper mache affect. I am sure they had to wait for the glue on the squares to dry before painting. Pipecleaners were added to make antenna. 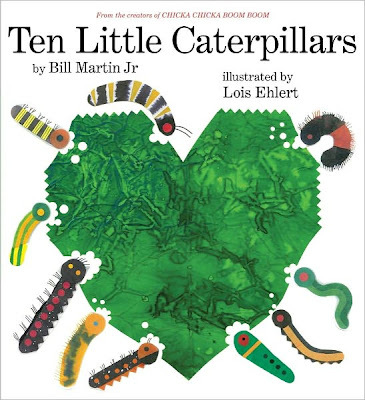 Based on the book Ten Little Caterpillars by Bill Martin, Jr. I found these books while looking at different websites. They are also too cute!! 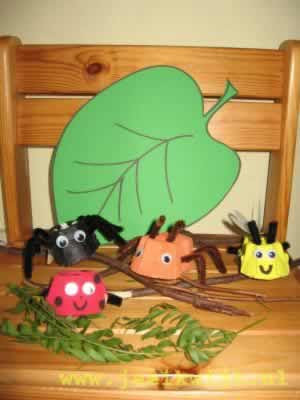 Find out more about making them from Dutch Kids Crafts. The kindergartners in my district have been learning about and observing ladybugs. Here is what one campus put together as a kindergarten friendly research unit. This idea could be easily adapted for other animals, insects, or themes. The kids worked in small groups and rotated through stations. Each station takes about 15-20 minutes. The campus I observed had students do all of the stations in one day. When I used to do ladybug research with my students, I spread the station rotations out over several days or a week. At this station, students manipulated plastic ladybug lifecycle pieces and recreated the ladybug lifecycle on a paper plate. At this station, students labeled the parts of the ladybug. At this station, students used hard drying clay to make ladybugs. When the ladybugs are dry, students will paint them. At this station, students drew pictures of a ladybug's habitat. At this station, students look at and read books about ladybugs. Then they rate the books they looked at and read. At this station, students went to PebbleGo.com and read a book about ladybugs and filled out a fun fact sheet about them. I recently had the privilege of meeting Mandi from MOORE Fun in Kindergarten at the Linda Hoyt conference. It is always so great to run into blogging friends somewhere. 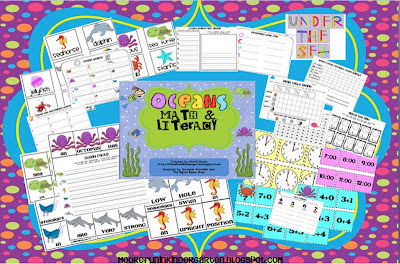 Check out Mandi's blog and her ocean unit giveaway at MOORE Fun in Kindergarten. In Texas, our standards expect kindergartners to make direct comparisons using length, area, and capacity. They do not expect students to measure objects using non-standard units of measure. This is a huge misconception among our teachers because typically they use nonstandard units of measure to have kids make comparisons and skip the steps involved in simply having the kids make direct comparisons using actual objects. I taught a lesson this week that helped a teacher see why making direct comparisons and asking the right questions are so important to a young child's understanding of measurement. While this teacher thought her students had a good understanding of length because they were able to measure and compare using non-standard units of measure, she saw that they really did not understand what the word length meant, how having common baselines is important, and how one object was not necessarily longer than other just because you moved the position of it. You can download the complete lesson plan, vocabulary, and key understandings here. I read a book, generated some discussion about length and making comparisons, modeled what I wanted them to do, then had them explore comparing length using play-doh. I had students compare the length of play-doh snakes. They learned what length means, what a baseline is, and how to compare objects using longer than, shorter than, and the same as. It is important that we not only teach young children what these words mean but that we also have them put these meanings into their own words and use them when explaining their thinking. 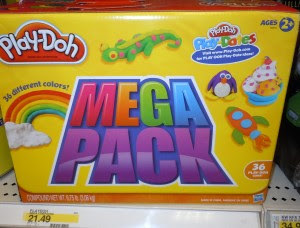 I bought the Play-doh Mega Pack from Walmart for $19.99. It has 36 cans of different colored play-doh in it. I let students choose their own color, but asked that they choose a color different from their partner. My lesson plan includes exploring length and area in one lesson. I found that this was too much. I ended up separating them into two different lessons. Congratulations Mary from Adventures in Kindergarten!! You are the winner of Learning Resources' HearALL Assessment Recorder!! I will send your contact information to them and your prize should be in the mail to you shortly!! Thanks again to all of you who entered!! For all of you grant writers out there, Learning Resources is offering you the chance to win a portable and interactive now!Board. Check out all of the details here. You can apply for the grant online through May 22, 2012. We are always looking for ways to teach our students that they have value and that they can do anything with hard work and practice. We also want our students to learn that when the work gets hard they should persevere, not give up. Recently, I had the fortune of connecting up with Jason Rago a first grade teacher and the author of Ryan the Spy and: The Superhero Secret. Jason's book Ryan the Spy is perfect for teaching our students these lessons. We spend so much time during the day teaching our students academic skills that we sometimes forget to stop and include mini-lessons on character traits and behavior. We work to model these things for our students all day everyday, but sometimes it is nice to have a book character that kids can relate to, follow, and learn from. Ryan the Superhero is the first book in the series. Jason hopes to write more stories about Ryan, making him a meaningful series character that teaches young children unique and valuable life lessons. 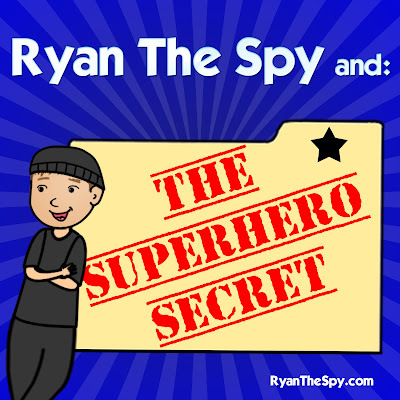 You can learn more about Jason and his spy character Ryan on his website RyanTheSpy.com and you can purchase your own copy of the book Ryan the Spy here. 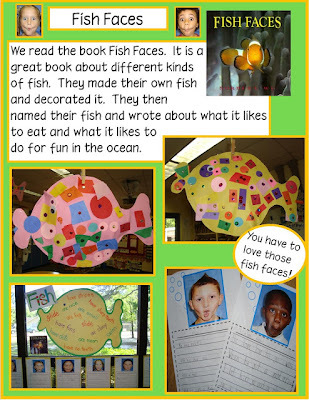 I saw this post today and fell in love.... and who wouldn't fall in love with a bunch of "fish faces"?? The post was made by Deeanna from Golden Gang Kindergarten. You could use this activity for learning animal characteristics, writing to inform, or narrative fish writing. Labeling the fireman was the lesson I taught in the morning, here is the lesson I taught in the afternoon. 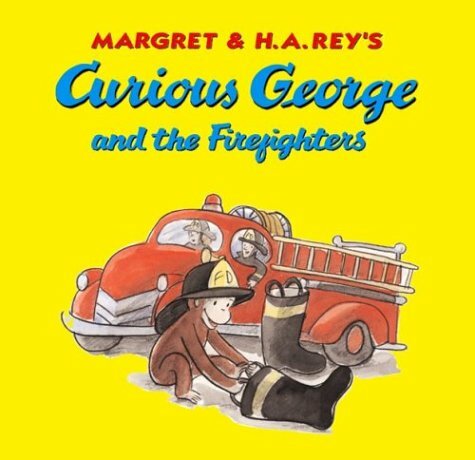 We read and discussed the book Curious George and Firefighters by H. A. and Marget Rey. Then we partner talked to share our favorite parts of the story. Then we made a Curious George craft and did a writing response activity. A few weeks ago I was thinking about a lesson I was going to teach to a group of kindergartners on firemen and fire safety. I wanted to do something different than your basic lesson on what a fireman does because I knew the firemen were coming for a visit and they would be talking about that. 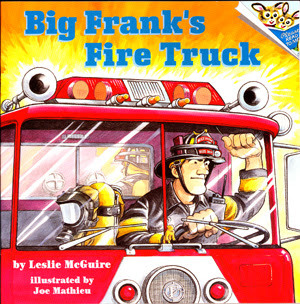 I started the lesson with the book Big Frank's Fire Truck. This is a great book for showing students all of the different types of things a fireman can do on a 24 hour shift. It talks about how many hours a fireman works on a shift, the different types of trucks that can be at a station, what the station might have, what happens when tones sound and a call comes in, what fireman do while they are not out on emergency calls, and about their uniforms. Out of all of the books on firemen that I have read, this is one of my favorites. After reading and discussing the book, Tim brought in all of his gear to show the kids. He talked about each piece of his uniform and why it was so important to the job of being a fireman. The kids learned about where he keeps his tools on his uniform, why his helmet is red, how he uses his air tank, special safety features on his uniform pieces, and where he keeps his gear when he is not on a call. After Tim was done talking with the kids about all of the parts of his uniform, why each part was important, and how his gear was different than the coats, gloves, and boots they had in their own closets, he suited up and let the kids label him. He put one piece of his gear on at a time while the kids recalled what he needed, what it was called, and why it was important or how it was used. As he added each piece of gear, the kids labeled it. They loved this!! After he was all suited up he showed the kids how firemen enter homes and buildings that are on fire. Then we talked about fire safety- what to do if their house is on fire and when to call 911. I followed up the labeling activity with a brace map. This brace map is in Spanish because I was in a dual language classroom. As we put the map together, I had the kids recall the parts of a fireman's uniform and why they are important. As we added each piece to the brace map, we pretended to put that piece of gear on. The kids loved this lesson! They learned a lot about what a fireman does, fire safety, and the special gear a fireman has to wear when he is on the job. Let's Go For a Drive.... and Do Some Writing!! Square Cat: A New Favorite! A Sale and a FREE Reading Strategy Apron!! Fun Tees with Bling Giveway!! The Duckling Gets a Cookie Has Arrived! !